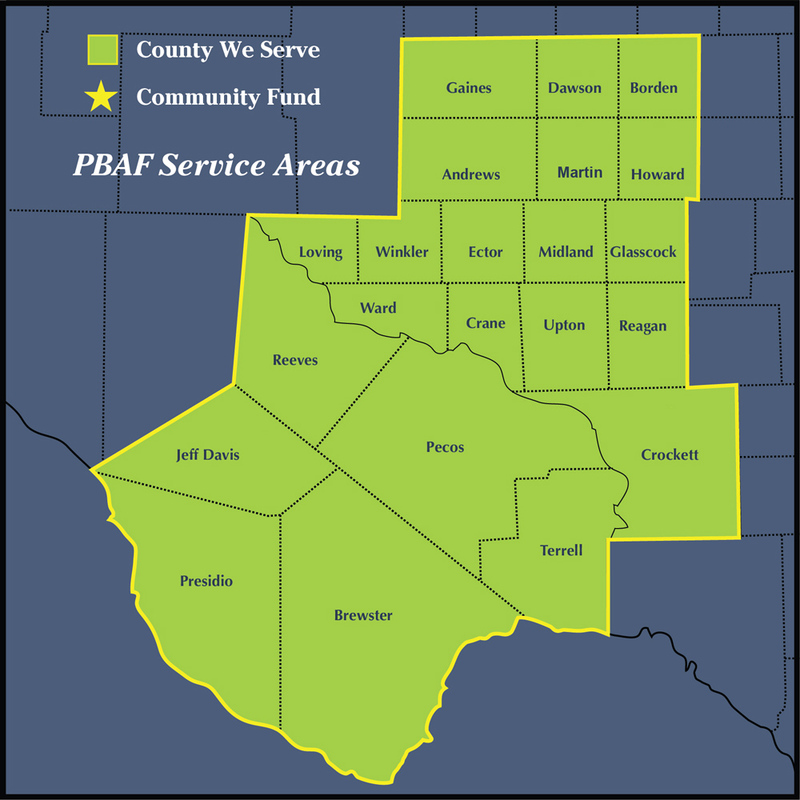 The Permian Basin Area Foundation serves more than 20 counties in West Texas. Nine of those counties are beneficiaries of permanent endowments, also known as “Community Funds,” created for the purpose of serving the specific county in which the fund was established. The assets in those funds are managed by the Foundation while distributions to charitable projects are recommended by volunteer committees composed of leaders living in that particular county.